Want it by Thursday 25th April? Order within 3 days, 16 hours, 33 minutes and choose Special Delivery 24 Hour Delivery (Signature Required) at checkout. 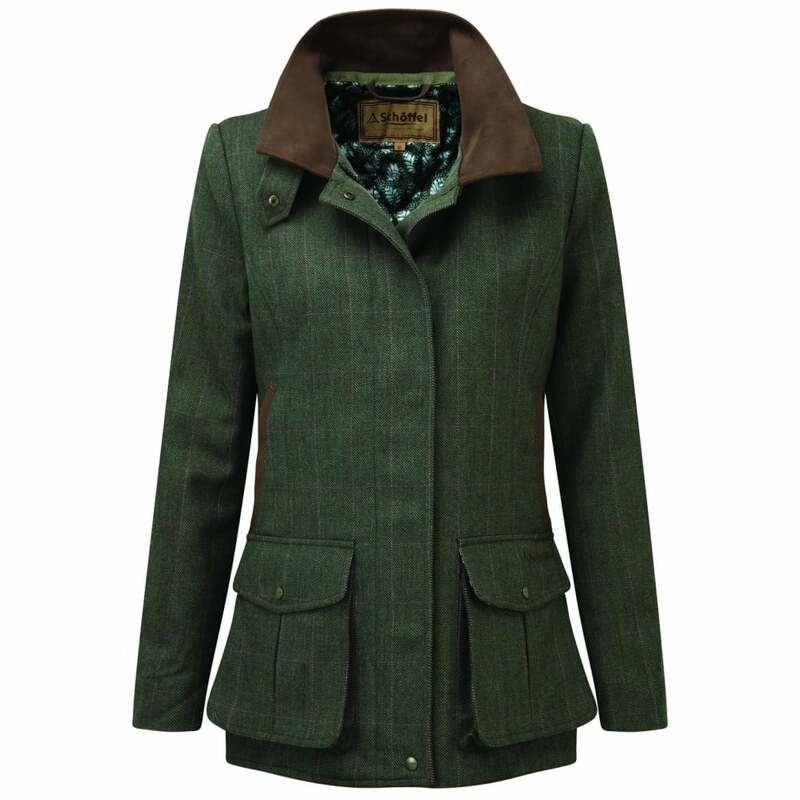 This country style jacket is perfect for any tweed lover! Created using pure lambswool which has been specially treated with a Teflon coating to repel moisture and stains. Large Bellow pockets and inner security pocket are perfect for keeping your valuables safe, whilst side pockets lined with micro fleece will keep fingers warm. Alcantara trim adds a tonal contrast to this coat, and a printed lining means it looks stylish both on and off. Whether you are taking long walks in the country or running errands in town this coat is a perfectly versatile addition to your wardrobe. Team it with your favourite jeans and much loved boots.